DULUTH, Minn. – More fabric and fun will soon be available for quilters in the Duluth Lakeside neighborhood. The owner of Hannah Johnson Fabrics is expanding. The growth comes after Johnson’s Bakery vacated their Lakeside location in 2018. “Who would have ever known? I never thought I’d be here for ten years,” said Janet Anelli, Owner of Hannah Johnson Fabrics. A connection with the community is helping Anelli’s small business flourish. With a goal of only being open for six months back in 2008, Anelli is now counting down the days until she opens up the stiches on her latest project. “When I opened the store, I said if I’m just open for six months, I did it, I did something! I worked at it and it’ll be fine,” said Anelli. This goal set by inspiration from Anelli’s grandmother, Hannah Johnson. Since opening, Hannah Johnson Fabrics has weathered two locations in the Lakeside neighborhood. She’s proud to help folks in the community make their hobbies happen. “People need something creative in their life,” said Anelli. Anelli says countless customers have come in through the years from the Northland, Twin Cities, Chicago and beyond. “If you don’t have something creative in your life whether its music or art, you just have to have something in your life that brings you a break,” said Anelli. Now Anelli is looking to expand with more than just retail. Education will be on Anelli’s agenda after construction is completed. “I do have Claudia! She’s going to be teaching a class,” said Anelli. “I have been competing since about 1996,” said Claudia Myers, a local quilt designer. 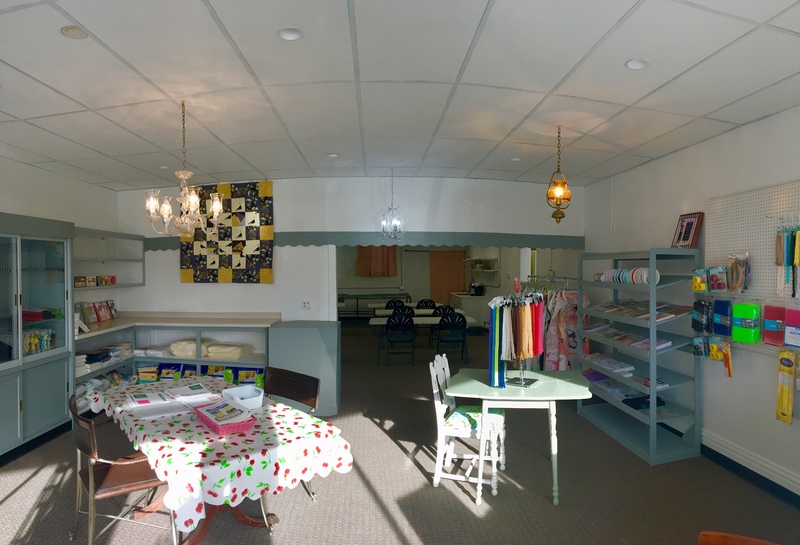 As Hannah Johnson Fabrics moves into the old Johnson’s Lakeside Bakery location, Anelli is joining forces with other talented quilters in the region to offer more hands-on experiences. Myers will be hosting classes two to three times a month starting in February. “I really wanted some time to teach because I feel that I’ve got all this knowledge that I want to pass on,” said Myers. Myers will be passing on life lessons while working with top notch materials. “Quality of the fabric is so much better from a local shop. Thread count is higher, when you wash it, it lasts longer,” said Anelli. A benefit Anelli says you can only find at a local shop in your neighborhood. “There are so few places that are different anymore. Lakeside is nice because we have so many different shops in this area,” said Anelli. In the next ten years, Anelli plans on still being open in the Lakeside neighborhood, but taking more time to travel and visit with family. A grand opening is set for Thursday, January 24 from 4:00 p.m. to 7:00 p.m. at Hannah Johnson Fabrics, 4511 East Superior Street in Duluth. Click here to learn more and sign up for classes today!